Southern California Permanente Medical Group (SCPMG) is fortunate to have more than 60 years of stability and experience in delivering high-quality, innovative health care centered around the patients. 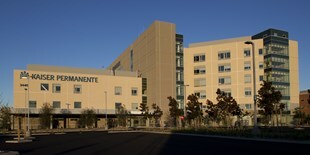 With sub-specialists in virtually every area of medical and surgical practice, Kaiser Permanente Southern California Permanente Medical Group is home to more than 9,000 physicians serving over 4.3 million members. We feature 14 accredited state-of-the-art medical centers and more than 215 satellite medical offices.